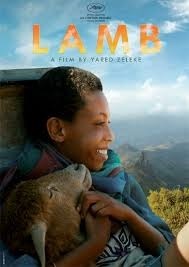 When Ephraim, an Ethiopian boy moves in with distant relatives he takes his pet sheep with him but the upcoming holidays spell danger for his beloved friend. Ephraim is not very good at famring, but he has a hidden talent: he is an excellent cook. One day, his uncle tells him that they have to sacrifice his sheep for the next religious feast. The young boy, however, is ready to do anything to save his only friend and return home. Lamb was screened in the Un Certain Regard section at the 2015 Cannes Film Festival. It was the first Ethiopian film to be included in the Official Selection.